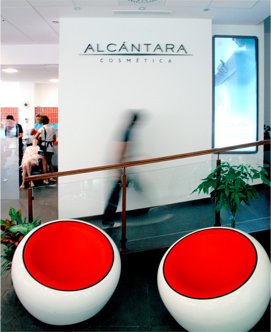 Alcántara Training Centre is composed by a select staff of technical – stylists and beauticians of both national and international renown. Their main purpose is to offer the most creative techniques, the avant-garde styles and the latest trends in hair fashion, as well technical advice about the best use of Alcántara products. Alcántara Training Team can be considered as an homogenous group in their objectives, although with some surprising, delightful peculiarities that enrich the aesthetic vision of the hair. They are in constant and continuous training with the best global professional hairdressers. One of the main activities of Alcantara Training Team is to provide academic training, teaching improvement and recycling courses for users of the company products. They offer a wide training programme in colour and cutting; hairdo workshops; straightening and perms; Visage; trends; facial and body aesthetic seminaries. All courses taught by Alcántara Cosmética are personalised to suit to the individual needs of each customer. In Alcántara Training Centre, expert trycologists analyse hair in depth, identifying the clinical signs for the detection and care of the different capillary disorders by means of the free study of the capillary structure.